Approximately 12% of Americans suffer from migraines. That adds up to an astonishing 38 million people. This neurological condition can steal away a person’s day by causing debilitating pain, sensitivity to light and sound, and nausea. However, recent research reveals that the effects of migraines may be more long-lasting than just ruining weekend plans or a work week. The first review of the data collected in the study indicates that the brain is permanently altered when migraines occur. How serious are these changes in the brain and what lasting effects may they have? Is there any way to prevent migraines and reduce the damage being done? Read on to learn more. 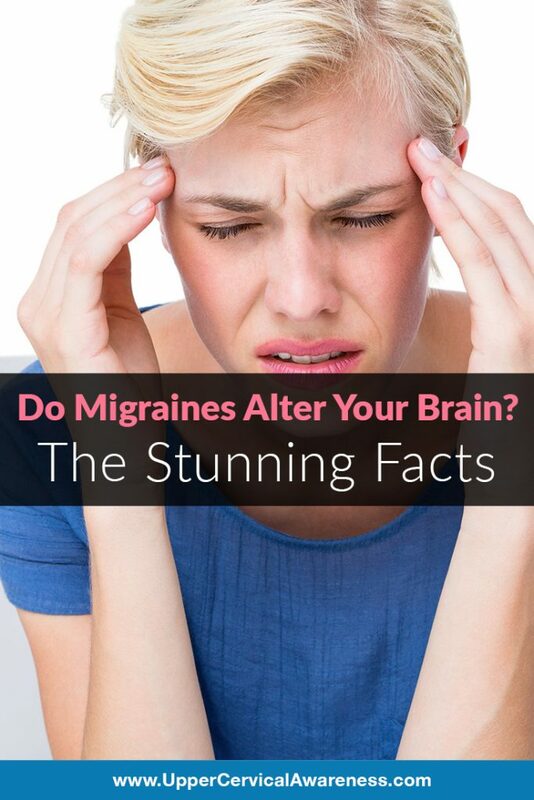 The study was conducted as a result of the prevalence of migraines. The financial burden in the US is somewhere in the range of $36 billion per year thanks to expensive medical care and lost time at work. Approximately 1 in 5 migraine suffers also experience aura, and this affected the results of the study as well. Brain lesions in white matter was the notable change with the risk of occurrence being doubled for those with aura. Patients with migraines were 34% more likely to experience these lesions than a control group whereas a patient who experienced a migraine with aura had a 68% risk increase. How do these lesions affect brain function? That remains to be seen and is a topic for further study. Clearly, however, migraines are more than just a really bad headache. Is there any way to limit the damage done? The problem with migraine medications is that they often just treat symptoms. That means a migraine is still occurring and these brain changes are still taking place as well. Upper cervical chiropractic, on the other hand, goes after a potential underlying cause of migraines—a misalignment of the upper cervical spine. Many patients have found that just one or two adjustments is enough to reduce the frequency and severity of migraines greatly. Some even see complete resolution of their symptoms. So instead of masking the pain, upper cervical chiropractic offers the potential to limit the damage of migraines on a long-term basis.